The sportiest example by far in this vehicle category, the BMW M3 Pickup will fire the imaginations of all motorists with a deep appreciation of top performance matched by a keen practical bent. 309 kW/420 hp under the bonnet and a rear-axle load capacity of up to 450 kilos take the hallmark BMW M relationship between race-oriented driving pleasure and everyday utility to an entirely new level. This unique vehicle has already completed extensive test and set-up drives on the Nürburgring’s Nordschleife in advance of its global unveiling on 1 April 2011. With this vehicle, BMW M GmbH once again furnishes evidence of its exceptional competence in developing and building high-grade, individual dream cars. 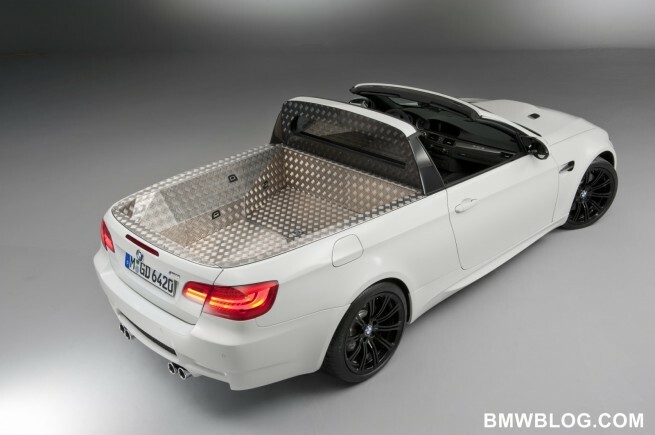 With a high-revving V8 engine at the front, a generously sized load area behind and a removable Targa roof above, driver and passengers in the BMW M3 Pickup will relish an unprecedented take on the familiar M feeling. 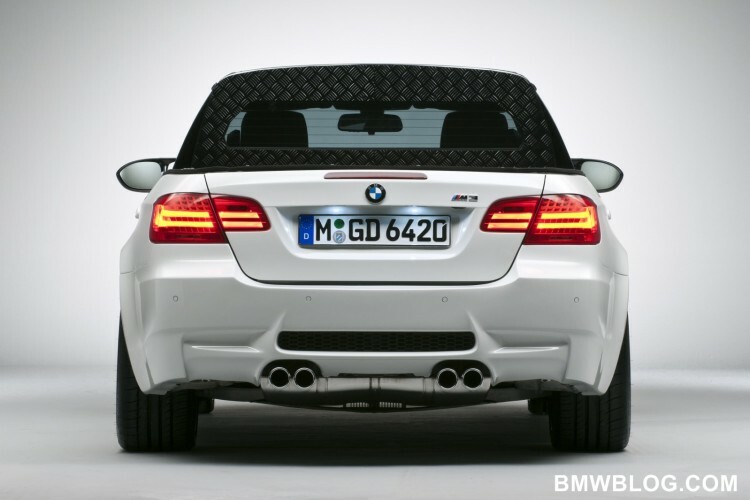 Yet this spectacular new development is unmistakably recognisable as a member of the BMW M3 model family. Corroborating this kinship are not just the inimitable power of the engine, but also fine-tuned aerodynamics and a tailored suspension set-up. 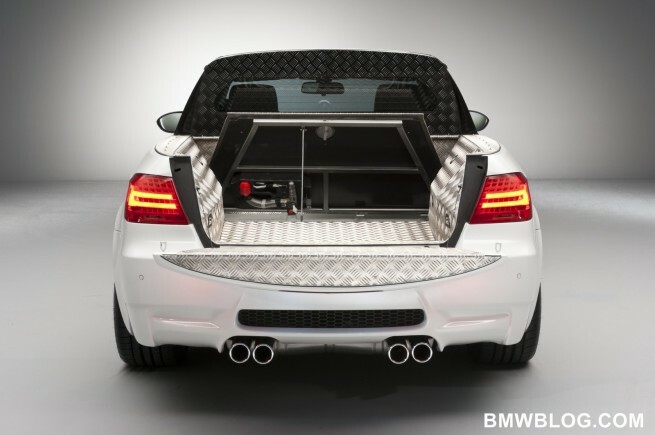 Measurements in the wind tunnel at the BMW Group’s Aerodynamic Test Centre showed a Cd factor on a par with that of the BMW M3 Coupé. 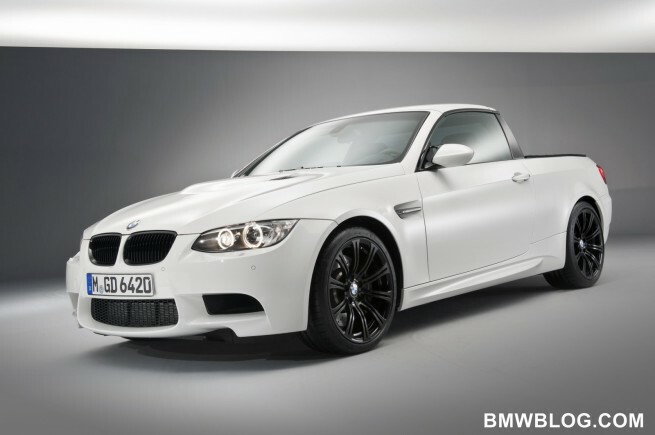 Like every BMW M model, the BMW M3 Pickup has also demonstrated its dynamic potential on the North Loop of the Nürburgring. Official lap times have not yet been released, but the needle in the dial vouched for a top speed of 300 km/h.